Ngorongoro wild camp is located on the southern area of the Ngorongoro Conservation Area, approx. 50km south-west of karatu Town and 253 km from Arusha, approximately 4.30 hours drive and 40 minutes by air, with another 2 hour transfer from the Manyara airstrip and 15 minutes transfer from the Ngorongoro airstrip to the lodge. 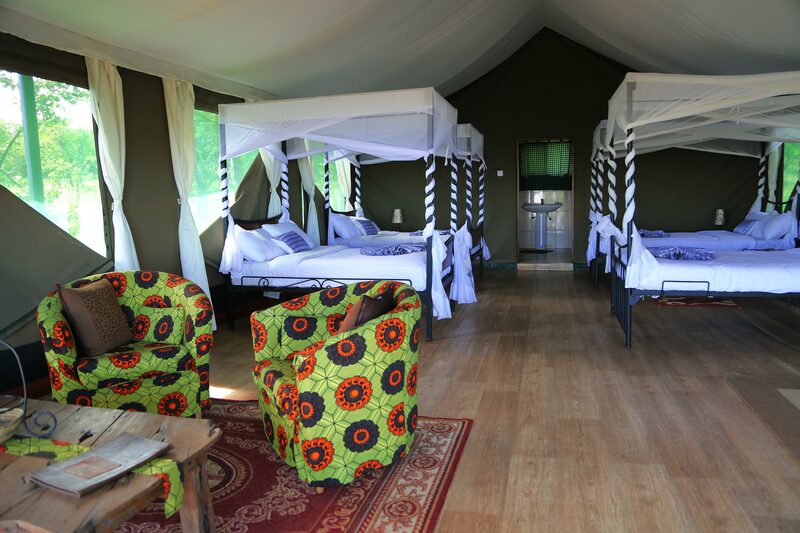 The unique and comfortable Camps offers Various contemporary amenities such as Dining & Bar Activities, internet, Sundowner cocktails to Bush meals at a private site, fire place, Maasai barbecue, Bonfire, Ngorongoro Multi-cuisine restaurant provide a memorable wild experience.